The Confucius Institute at the University of Canterbury (CIUC) offers a range of courses for people with either a personal or a professional interest in Chinese language and/or culture. 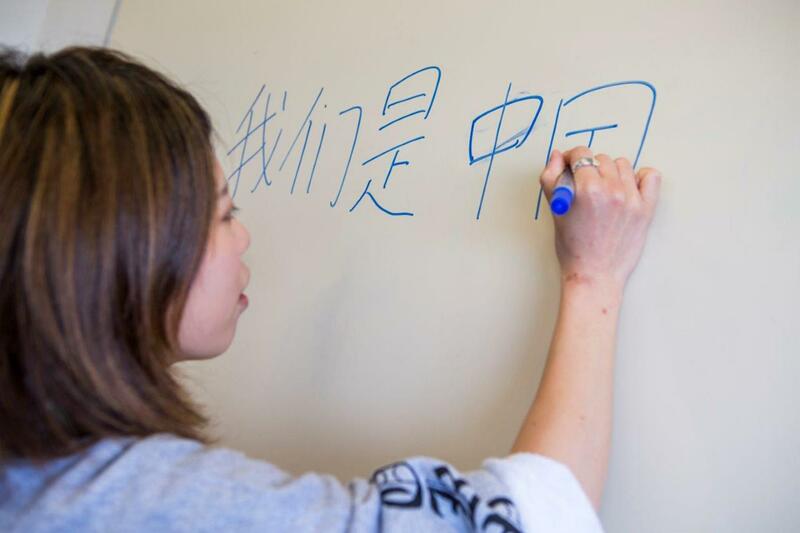 The Confucius Institute at the University of Canterbury offers beginners, intermediate and advanced classes in Mandarin Chinese. These courses are an opportunity to improve your ability to communicate in Chinese, whether you are a total beginner or reasonably fluent. You will learn in an enviroment that is fun and relaxed and from teachers who are native speakers of Chinese. For more information, please contact Bi Wang. Her contact details are below. Please note: Beginners 1, 2, 3 and 4 are different levels. If you have never studied Chinese before, you need to begin with Beginners 1. Registrations have not yet opened. If you would like to be sent an email when registrations open please email bi.wang@canterbury.ac.nz. All terms consist of 10 sessions. We cannot refund course fees for non-attendance. Prices have been adjusted to take account of not having class on Queen's Birthday. The Chinese language has its own unique writing system made up of characters or 汉字. They were created about five thousand years ago. There are over 60 000 unique characters but only about 4,000 – 5,000 are used in everyday life. The Chinese writing system is used in China and other Chinese speaking regions such as Singapore. The characters not only serve a practical purpose as the writing system for the Chinese language, but writing them has also become an independent branch of art. There are two Chinese calligraphy classes each week. Changming Pan teaches both of them.. Both courses are held in Room 401 of the Logie Building. Each class is $5.00 to cover the cost of materials. Advance registration is required. New students can join at any time. Please contact Rosa-Jane Whitcombe at rosa-jane.whitcombe@canterbury.ac.nz or phone 369 4399 for enrolment. Tai Chi classes are held on Thursday evenings at the university. You can register and pay for the courses online. Tai Chi is a proven method of stress reduction and relaxation. It integrates the external or physical and the meditative internal. It improves balance, coordination, flexibility, muscle strength and cardiovascular health. It is gentle enough to be accessible to people of every ability level but can be demanding enough to provide a significant challenge to the professional athlete. For more information, contact Rosa-Jane Whitcombe at rosa-jane.whitcombe@canterbury.ac.nz or phone 03 369 4399. The Chinese Tea House is an opportunity for anyone to come and practise speaking Chinese with a native speaker or to learn more about Chinese culture. The Tea House also provides a space for everyone to experience Chinese culture first hand. It is offered by the Confucius Institute at the University of Canterbury and is open to everyone – staff, students and the general public included. Chinese Tea House is held on every Tuesday and Thursday throughout the year unless the university is closed for public holidays All UC staff and students who are interested in the Chinese language and culture are welcome to participate.